What better place to talk about creative flow, the magical experience where actions and awareness merge, than dancing? Scott Barry Kaufman describes flow when “one’s mind is fully open and attuned to the act of creating.” Where a sense of wholeness arises, and we move away from the cerebral to the body. Everything feels engaged and meaningful. Remember Jean Luc Picard, Starfleet Captain in Star Trek? When he and his officers hit upon a solution to get themselves out of a sticky situation—by going to warp speed, say, or activating the deflector shield to evade a hostile force—he instructed his crew to “make it so.” And it would be done. I love that. Determining a course of action and following through. Making it so. Mentors come to us in all kinds of ways. You may meet them face to face at art shows, writing conferences, or in your local artist community, or they may be artists in your field you court from afar, working with them by phone or the occasional email. However, they come to you and whatever form the mentee-mentor relationship may take, the work is always heart-to-heart. My mentors have been impactful during different stages of my life, helping me uncover more and more moments when my writing accomplishes what I desire, conveying the message I want. During times when my creativity goes on sabbatical, they provide the encouragement, the little nudge I need to get me going again. More than anything, however, their mentoring pushes me to reflect upon my own writing, and notice like Swiss cheese all the holes. And I learned, and learned again, that satisfaction for one’s finished art is a rare thing. The following essay is a salute to my father and to all fathers who make a positive difference in their children’s lives. Although my father was a private person, his beliefs were evident in how he treated the earth as if it were holy, and the many ways he applied the wisdom of nature to his life. He didn’t just think about how he valued the planet, he lived out that basic precept in the activities of each day, his life exemplifying what he believed. Coming from the old school of farming, he knew that all things mattered. From 2005-2009, a TV sitcom, “Earl,” featured a slackard good-for-nothing who discovers he holds a $100,000 lottery ticket. He is overjoyed, jubilant. But just as Earl realizes his good fortune, a car hits him and he wakes in a hospital bed to find his lottery ticket gone. It is karma, he believes, the forces of the world punishing him for the hurt he has done to others. And from then on, Earl dedicates himself to righting the wrongs he has committed in the past. It really wasn’t that great a series (in my estimation) and I only watched a few episodes. But the idea of some sort of cosmic karma is intriguing. 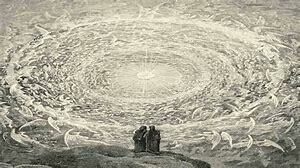 As ye sow, so shall ye reap, the Bible says, suggesting that in the grand scheme of things, we get what’s coming to us. We get what we deserve. I’m not sure I believe that. Bad things happen to the innocents of the world, to those who have done only good. And, as we know, right does not always prevail. We see injustice everywhere. 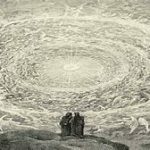 It’s 2018–What Are You Reading? I have always loved book recommendations: the summer reading lists our teachers gave us each May, the books chosen for Oprah’s Book Club—remember those? And recommendations found in newspapers and magazines. 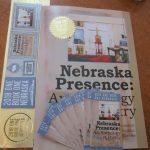 So, each year when the Nebraska Center for the Book announces its “One Book, One Nebraska” selection, I pay attention. 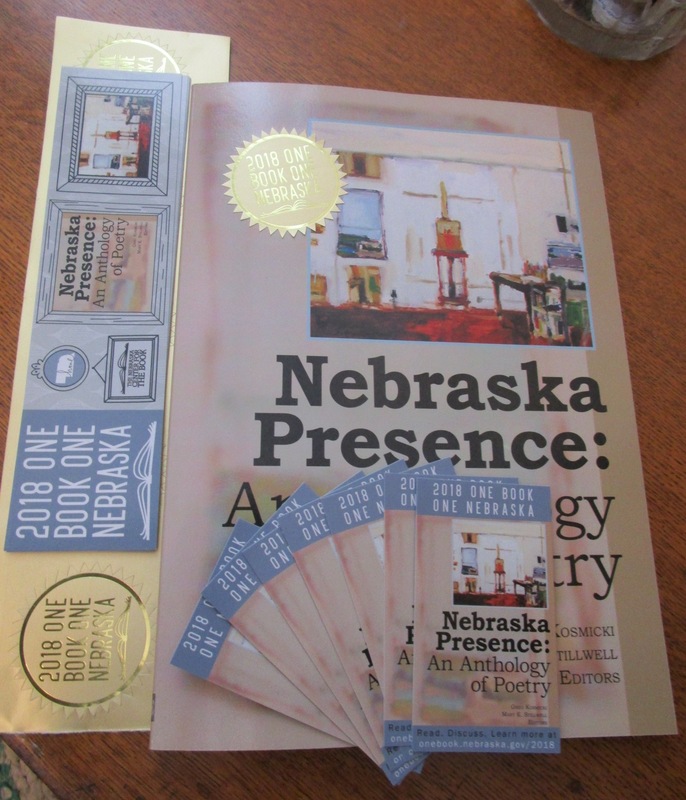 This year, that “One Book” we are encouraged to read is Nebraska Presence: An Anthology of Poetry. It’s published by Backwaters Press of Omaha, edited by Mary K Stillwell and Greg Kosmicki, and contains poetry from over 80 Nebraska poets. These include former U.S. Poet Laureate and Pulitzer Prize winner, Ted Kooser, former and current state poets, Bill Kloefkorn and Twyla Hansen. As well as award winning poets Marjorie Saiser and Don Welch, and many others.